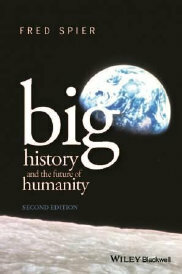 Why would big history be important? On this page, observations of various kinds will appear that are related to big history teaching, as well as to big history in general. - Did Galileo overstate the magnification of his telescope? - Did Columbus falsify his latitude measurements? - What about questions in learning goals? - What to think about machines that think? A few years ago, as part of teaching big history for small groups I started developing a series of observations that can be done by students in class. To my surprise, some of these observations turned out to be not only very helpful for teaching big history, but they also led to a few intriguing discoveries. This report offers such an unexpected result. WAS THE JUAN DE LA COSA MAP MADE IN 1500 CE AN INSTRUMENT TO STAKE CLAIMS? Now the centerpiece of the exhibition in the Museo Naval in Madrid, Spain, the Juan de la Cosa map, signed in 1500 CE by Spanish sea captain and explorer of the new world Juan de la Cosa, is often considered to be the first modern world map. But what did this map actually represent, and what may have been the maker's intentions? These are interesting questions for historians, or so it seems to me, because there are some clear errors on the map, while it does not show the whole world known at that time. Before addressing these questions, let us first take a quick look at the map's history. According to the Prussian naturalist Alexander von Humboldt (Kosmos, Vol. 2, p. 263) this map was discovered in a Paris bookshop in 1832 by Baron Walckenaer (then Dutch embassador in Paris), who showed it to him during a cholera epidemic, 'and has since acquired so much celebrity,' (von Humboldt took care of that). The map was bought in 1853 CE by the Spanish Naval Ministry after Baron Walckenaer had died. But how did the map end up in Paris at that time? Was it stolen by Napoleon's troops from the secret library of the Vatican, as this source claims? If that is what happened, how did it end up in the Vatican before being transported to Paris? Was it a gift to the pope by the Spanish royalty? If so, when did that happen, and why? What were the motivations? To curry favors? To show off something? If so, what? There could have been many motivations. Would there be letters in the Vatican library that could throw light on such questions? According to a video about the map produced by the Spanish Ministery of Defense in 2010 CE, the map was stolen by the French under Napoleon from the Casa de la Contratación in Sevilla, Spain, then located in the Real Alcázar of Sevilla. One wonders what this statement is based on, because obviously, it cannot be both: stolen by Napoleon's troops from Sevilla and from the Vatican. Because the video appears to contain other errors, such as the prominently displayed cross-staff which, to the best of my knowledge, was not yet used at sea at that time, I am a little suspicious about this claim. My hypothesis is that this map was made first of all to be a claim and propaganda instrument, showing the territories that could be claimed by the Spanish and the Portuguese under the Tordesillas treaty, signed by both parties in 1494 CE. This treaty came as a result of the Portuguese crown claiming the new discoveries almost immediately after Columbus had returned from his first trip and the subsequent rivalry with the Spanish royalty about these things. The treaty delineated those interests by specifying that all areas to the west of a longitude line located at 370 leguas west of the Cape Verde islands (about 2200 km) were Spanish territory, while everything east of that line was Portuguese territory (excepting the Canary Islands and Europe, of course). This treaty was sanctioned by pope Julius II in 1506 CE. If the Juan de la Cosa map was indeed made in or around 1500 CE it may, therefore, have been used to bolster and maximize the Spanish royal claims as part of a campaign to convince the pope to lend his support to the Tordesillas treaty. If so, would there be letters in the Vatican archives from the Spanish royalty to the pope saying so? And if so, would the Portuguese have engaged in a similar campaign, perhaps also seeking to maximize their claims? In other words, to what extent were claims for territory backed up at that time by producing competing maps? To what extent were those maps instruments for claims and propaganda? To the best of my knowledge, this possibility has not yet sufficiently been explored by scholars. Almost all the studies I have seen so far appear to have focused on geographic content and not on possible political intentions. To what extent is this hypothesis supported (or contradicted) by the available evidence? 1. The thick and very prominent vertical line indicates the Tordesillas treaty longitude division between the Spanish and the Portuguese territories. The problem is that it was then not yet possible to observe longitude very precisely. So how would the Spanish and Portuguese know where to go legitimately and where to stay away? As Alexander von Humboldt suggested (Kosmos, Vol. 2, p.318), the Tordesillas line may have been chosen along the supposed line of zero magnetic variation, where observations of the direction of the compass to the ‘magnetic north' and the observed direction of the pole star providing the ‘true north' exactly coincide. In so doing, the Tordesillas line would have provided a clear demarcation line between the Spanish and Portuguese interests that could unambiguously be observed on the ground (or on the high seas). As said above, the vertical dividing line was defined in terms of 370 leguas (about 2200 km) west of the Cape Verde islands. But because this distance could not yet be measured reliably at the time, while so much about the geography of the New World was still not well known, there was ample room for different interpretations. This may have led to a series of claims and counter claims by the parties involved. If so, was the Juan de la Cosa map intended to bolster such claims? As depicted on the Juan de la Cosa map, the Tordesillas line allowed only very limited territory in the New World to the Portuguese. Was this an attempt by the Spanish to maximize their claims? This idea is reinforced by looking at all the places where ships are shown flying the flag of Castilla and Leon, most notably along the northern coast of what later became known as South America all the way down to the Tordesillas line. This was very clearly an attempt, or so it seems to me, to claim these territories for the Spanish crown. Furthermore, the positions of these ships virtually exactly coincide with Juan de la Cosa's most recent expedition to that area, and may thus also represent a claim to fame and fortune for himself. The well-known Cantino world map of 1502 CE made in Portugal, presumably in Lisbon, also shows the Tordesillas line very prominently. Yet it concedes much more land to the Portuguese (which was a more correct interpretation of the treaty) than the Juan de la Cosa map. In contrast to the land claimed by the Spanish crown, the Portuguese portion was very nicely illustrated on the Cantino map. One wonders, therefore, whether this map can be seen as a counter claim by the Portuguese for a much greater portion of the new continent under the Tordesillas treaty than shown on the Juan de la Cosa map. Furthermore, the Cantino map does show Southeast Asia, which may have implied an attempt at maximizing Portuguese claims. The Cantino map was based on very similar geographical data, while showing Portuguese vessels carrying their flag close to the borderline of their claims. In his book Drawing the Line (1995), the Canadian scholar Mark Monmonnier described the Cantino map therefore as an instrument to stake such claims (p.108). Yet Monmonnier did not mention the Juan de la Cosa map, which preceded the Cantino map, while the Spanish map may have stimulated Portuguese cartographers to draw their map the way they did. As said before, all of this may have been part of campaigns to the pope to support the Tordesillas treaty while claiming as much territory as possible for themselves. 2. On the Juan de la Cosa map, the Caribbean islands are situated far too high in terms of latitude. This has been recognized by scholars, but it has not yet sufficiently been explained. It appears to have escaped scholarly attention that these erroneous latitudes very much correspond with the latitudes mentioned by Columbus in his diary of his first voyage, which, in my opinion, would have been stated as such to make sure that any newly discovered territories could not be claimed by the Portuguese as a result of the then reigning Alcáçovas treaty. Having accompanied Columbus on his first two voyages, Juan de la Cosa surely had access to Columbus's data. And starting with Columbus's second voyage, the Spanish Crown placed great emphasis on establishing correct latitudes. Because the error of measurement with quadrants and mariner's astrolabes does not exceed one degree while the erroneous latitudes are far more off than that, by 1500 CE Spanish cartographers must have possessed much better latitude data than those shown on the map. So why were those better latitudes not shown on the map? This leads to the almost inevitable conclusion that the map continued this falsification by Columbus in an effort to avoid Portuguese claims under the Alcáçovas treaty. In other words, it would have been a propaganda instrument in which geographical correctness was made subordinate to political correctness. Interestingly, also the Portuguese-made Cantino map shows these incorrect latitudes. Apparently the Portuguese were either not yet sufficiently aware of this falsification or they did not see an interest in pursuing it after the Tordesillas treaty had been signed. 3. While the Juan de la Cosa map is often described as a world map, it is not, because a considerable portion of the known world is lacking, most notably Southeast Asia and China, even though it was considered very important to go there by both the Spanish and Portuguese because of its wealth and products. The lack of China has been recognized by scholars but, in my opinion, it has not yet sufficiently been explained. If China had been included, what would need to be done with the Tordesillas longitude line, which would have run right through China and Southeast Asia? At that time, the Tordesillas line had not yet formally been extended to Asia. So from a Spanish and Portuguese legal point of view this was still undefined territory. In consequence, including China on the map might have led to competing Spanish and Portuguese claims within a legal vacuum. As a result, the Spanish may have been deemed it better to avoid that problem by leaving out China entirely while focusing on seeking to harvest the supposed wealth of the New World. As suggested by John Dyson (Columbus: For Gold, God, and Glory, p.207) and others, the fact that the Panama land bridge is covered by a picture of St. Christopher, the patron saint of travelers (who, perhaps not completely coincidentally, carries same name as Christopher Columbus), may have represented an attempt to hide that point of access to China. 4. The hypothesis also explains why the Juan de la Cosa map is so nicely illustrated the way it is. Why do that if it was solely intended for navigation? Obviously it was meant to be a showcase map, much like many later Flemish and Dutch printed maps and atlases by Ortelius, Mercator, Hondius, Jansonius, Blaeu, and others. Why was the new world largely colored green, with the exception of the islands that had already been explored and occupied? Does this perhaps suggest empty and uncultivated (‘uncivilized’) woodlands to be reclaimed, so a lot of potential tax money, with no rulers or other people that could cause trouble, while the interior of Africa, where Europeans had not yet gone either, is depicted full of rulers? But dealing with all of that in Africa was a Portuguese problem, not a Spanish issue. Perhaps the map states in a pictorial way that almost the entire, largely unknown but supposedly empty and fertile, new continent was there to be ‘rightfully' explored by the Spanish, while ceding the supposed ‘wealth' of Africa and India to the Portuguese, but not China, which was Columbus's original stated goal. Because there is such a good fit with the available data while none appear to contradict the hypothesis, I am inclined to think that this map was first of all a claim and propaganda instrument to bolster and maximize the Spanish claims under the Tordesillas treaty while seeking papal support. A. The map consists of two hides glued together. On the left-hand portion mostly the new continent, West Africa, and Western Europe are depicted, while on the right-hand portion the rest of Africa, India, and Eurasia can be seen with the exception fo South East Asia and China. All the coastlines interlink reasonably well across the glued connection but, surprisingly, the rhumb lines do not line up well at all. In fact, to a trained cartographer's eye they look like a mess. Clearly, the map was not drawn in one go on these two hides. It must consist of two maps made separately that were later glued together. It is not possible to connect the rhumb lines well by assuming that a certain part was cut off to make the map fit. I tried to do that, but it does not work. The rhumb lines will never line up well regardless of how the map is spaced out (or shrunk) along the glued line. But why would the coastlines fit while the rhumb lines do not? That is a mystery to me. To the best of my knowledge this issue has not yet been explored by scholars. So why was this done in such a way? This becomes even more intriguing considering that underneath the St. Christopher box on the left portion it is stated that this map was made by Juan de la Cosa in 1500 in the port of Santa María (presumably in Cádiz, Andalucía). But perhaps this was only the case (if at all) for the left hand portion. Perhaps the other portion was added later, done by someone else. In fact, quite possibly both parts may be later copies of maps made earlier. If so, would there have been a third portion on which China was actually shown, that subsequently got lost for whatever reason? If so, would there perhaps be traces of such a glued section on the right-hand portion of the Juan de la Cosa map? Clearly, the map was not meant to be used for navigation, because the clumsy rhumb lines would immediately have irked serious navigators. That makes me wonder whether Juan de la Cosa, who was a serious navigator and cartographer, would have put such a map together at all. And for whom was it intended? If it was intended for the pope, was it assumed that he or his supposedly knowledgeable advisors would not notice that? That seems unlikely, but it may have happened. Or was something else going on? This situation with the ill-fitting rhumb lines still looks like a mystery to me. Interestingly, the Cantino map does consist of three hides glued together. While it does show Southeast Asia, also on this map the rhumb lines do not completely line up. But they do interlink much better than on the Juan de la Cosa map. Would these hides have shrunk differently over the centuries resulting in such a comparatively slight mismatch, or would also this map consist of portions that were made at different moments and were subsequently glued together? B. On the Juan de la Cosa map, situated in Northeastern Siberia inside the green ‘anchor’ a Gaius Julius Solinus-like deformed figure can be seen. What is it doing there? Does it represent fears projected upon the edge of the unknown, as I argued in 1997 concerning medieval maps, most notably perhaps the Mappa Mundi at Hereford Cathedral, England? As I observed in 1997, on the Arab-made Piri Reis map such a figure was actually projected onto the Andes in what is now Colombia, while the Flemish cartographer Jodocus Hondius projected such a person onto the inlands of the Guyanas of the new continent. For Arabs and the Dutch, the exploration of these areas was then probably deemed beyond their possibilities, at least for the time being. In addition to the above argument about projecting fear of the unknown on the edge of the unknown, these cartographers may have put these figures there in an attempt to scare off others to go there (and thus keep it potentially to themselves for later exploration). On the Cantino map, no such figures can be observed. Obviously, the Portuguese would have had no interest at all in depicting Southeast Asia as scary. I am sure this is not yet the end of a careful exploration of the Juan de la Cosa map. There may be many more messages on it that can only be understood by putting oneself further into the shoes of some of the people at that time. But it seems to me that my hypothesis that this map was made first of all to be a claim and propaganda instrument, showing the territories that could be claimed by the Spanish and the Portuguese under the Tordesillas treaty while seeking to maximize Spanish claims has been substantiated sufficiently with empirical evidence to merit serious consideration, while it may be rewarding to investigate other maps from that period with similar hypotheses in mind. Reacting to this little essay, philosopher Dr. Armando Menéndez Viso from the University of Oviedo, Spain, helped me trace more scholarly references in his native language to the Juan de la Cosa map. Especially during the past five years, Dr. Jesús Varela Marcos from the University of Valladolid has contributed important research. In the book Juan de la Cosa: la cartografía histórica de los descubrimientos españoles coordinated by Dr. Varela published in 2011, Sevilla, Universidad Internacional de Andalucía, as well as in two more recent articles, he analyzed the map extensively. He interpreted it as a propaganda instrument made under the direction of the prominent courtier and church prelate Juan Rodríguez de Fonseca with the aim to inform the king and queen of Spain of the most recent discoveries. Bishop Fonseca had been tasked to coordinate the Spanish voyages of discovery after Columbus’s unwitting encounter with the continent that soon would become known as America. Dr. Varela does not question whether that map would have been useful for the Spanish royalty other than as a source of information. The Spanish scholar mentioned the incorrect latitudes of the Carribean islands on the map as having been copied from Columbus’s data with the aim of avoiding political problems with the Portuguese as a result of the Alcáçovas treaty. He does not question why this was done on a map that, according to him, was solely intended for the Spanish royalty who, by that time, must have known better, either they themselves or the nautical experts at the court. It seems to me that misleading the king and queen could have caused serious problems. Yet however unlikely misinformation with such intentions may therefore seem to be, it may have happened. If so, would there be any traces left in Spanish archives of subsequent problems? It seems more likely to me, however, that the Spanish court actually wanted this map to present a skewed view to less knowledgeable outsiders, as was argued earlier. Dr. Varela also mentioned the Tordesillas line on the map. He made an exemplary effort of linking its geographic information, including the positions of the ships carrying the flag of León y Castilla, to the Spanish voyages of discovery that had been undertaken until that time. Like others, the Spanish scholar saw the Cantino map as a competing product with similarly erroneous latitudes, but he did neither question for whom it was intended nor why these maps are different in those respects.And he did not make a systematic comparison either with the Juan de la Cosa map about their rather different land claims in the New World under the Tordesillas treaty, including the different ways of depicting them outlined above. Very interestingly, Dr. Varela describes in great detail how in April of 1500 CE a Portuguese voyage of discovery led by Pedro Álvarez Cabral hit the Brazilian coast by accident on their way to Calcutta. They immediately realized that these lands unknown to Europeans were situated east of the Tordesillas line. So they were formally Portuguese territory seen from that particular legal point of view. The Portuguese description of those lands very much fits the depictions on the Cantino map from 1502 CE, which can thus be seen as a claim to those territories based on the most recent Portuguese discoveries. To reinforce the Portuguese royal claims on these lands, a ship was sent back to Lisbon to report the new discoveries, where it would have arrived by the end of May or early June. According to Dr. Varela, by August of 1500 CE the Spanish crown would have known this, too, thanks to their extensive spy network. Although the Spanish scholar did not suggest so, this tense peninsular rivalry may not only explain the different land claims on the Juan de la Cosa and Cantino maps outlined above, but it may, in fact, have stimulated making these maps in the first place. If, so, the question again emerges for whom these maps were intended. Perhaps this situation also helps to explain why the Juan de la Cosa map seems to have been put together rather hastily in a hurry to stake a claim. Dr. Varela also noticed the differences in the graphical depiction of the New World (green) and the Old World (much more detail). Yet he did not question why this would have been the case and what some of the intended meanings may have been. Furthermore, the Spanish scholar noted that China was not well represented on the Juan de la Cosa map. He attributed this to uncertainty about the geography of that part of the world, including how it was connected to the new discoveries. He did not consider any political problems that might have emerged if the Tordesillas line had been extended to China. Dr. Varela may well be correct about these geographic uncertainties, yet there is a further problem. The line that the scholar from Valladolid interpreted as the Chinese eastern coastline is, in my opinion, not a coastline but a river running from north to south. As a result, it seems to me that China is actually not represented on the map at all. This becomes even more clear while comparing the eastern portion of the Juan de la Cosa map with earlier world maps based on the geography of Ptolemy, on which China is depicted clearly more to the east. This situation is even more surprising because, according to many scholars, the geographical information on the eastern hide would have mostly been copied from Ptolemy, while the most recent Portuguese geographical information was also added. Dr. Varela also noticed the ill-fitting rhumb lines. He suggested that both hides were perhaps made separately and were later glued together. He did not question why the coastlines do fit well across the glued joint while the rhumb lines do not. Dr. Varela correctly noticed that the geographical scales of the New and Old World are different. But he did not give a good explanation for it, even though he provided fascinating information that may have caused this situation. According to the scholar from Valladolid (which city is situated relatively close to the town of Tordesillas), on April 27 of 1500 CE the Portuguese mariners measured the altitude of the noon sun on the Brazilian coast to be 56 degrees, with the sun in the north. Based on this they established their latitude to be 17 degrees below the equator (p.101). I checked their calculation using data from the oldest extant Portuguese sun declination table Regimento do estrolabia e do quadrante, probably dating from 1509 CE. This table provides a sun declination for April 27 of 16 degrees and 42 minutes, and thus indeed yields virtually exactly the same latitude (90 - 56 - 16.7 = 17.3 degrees). This means that by that time the Portuguese could establish their latitude with a precision of one degree, or perhaps even better than that. It seems very likely to me that by 1500 CE the Spanish were able to do so equally well. So the problem became how to draw a map with the newest correct Portuguese latitude below the equator in Brazil while sticking to the falsified Carribean latitudes that are, in consequence, situated way too high on the same map. Inevitably, this stretch of the imagination would have resulted in an enlarged scale of the new continent with respect to the rest of the world. To my knowledge, no one seems to have suggested such an obvious explanation yet. Dr. Varela thinks that we are dealing with the original map made by Juan de la Cosa, or at least made under his supervision, and indeed made in 1500 CE as stated on the left-hand side of the map. He does not consider the possibility that the current map may be a copy that was made a little later, perhaps in a more sloppy, hurried way, while seeking to accommodate the most recent geographical information. He assumes that the available documentary evidence from the Spanish archives mentioning such a map at that time does, in fact, refer to this specific copy of the map. In my opinion, that may have been the case, but we cannot be sure of that. According to Dr. Varela, it is unknown what happened after the map entered the archive of bishop Fonseca until it emerged again in Paris. Surely, Dr. Varela should receive full credit for the primacy of all his observations and interpretations. Yet, as said before, I think that we may want to go a step further and wonder for whom this map was intended, possibly including the pope. As outlined above, that would explain better what can be observed on the map. Of course these ideas remain speculative for the time being. Further archival research may or may not reveal any further data. Dr. Menéndez Viso also found an interesting article by Antonio Vascano Ensayo biográfico del célebre navegante y consumado cosmógrafo Juan de La Cosa y descripción é historia de su famosa carta geográfica (1892). On p.36 it is stated without reference that the map 'had undoubtedly been stolen from an archive in Sevilla and had been taken to France during the Independence War' (against Napoleon). This unsubstantiated hypothesis may or may not have been the source of information for the above mentioned video of 2010 about the Juan de la Cosa map. More in general: it is notoriously difficult to trace intentions long ago. It is already very difficult to do so in the present. Stated intentions may convey what a person really thinks and feels, but these may also be very different from reality. In fact, a person may sometimes not even know her- or himself very well what one’s real intentions are. Do you, the reader, always know and understand all your own intentions all the time? I would certainly not claim that for myself. With these caveats in mind, if one wants to trace intentions in the present it may be a good idea to observe what such a person does in practice within her or his social circumstances, which may help to obtain certain clues about that person’s intentions, including possible differences with stated intentions. One could also ask other people how they judge the intentions of that particular person. Yet we can never be sure about the results, simply because there is no ‘objective’ way of measuring intentions. For understanding the intentions of people who lived in the past we need to pursue similar routes, with the major difference that we cannot personally ask them or their contemporaries about their intentions. The only thing we can do is to try to glean any of that from the information available in whatever documents and other objects may have survived the onslaught of time. As a result, we can never be sure about such intentions. Yet based on the available empirical evidence and scholarly interpretations, it seems likely to me that the Juan de la Cosa map was first of all intended to be a propaganda instrument for less-informed outsiders. As mentioned earlier, there is at least one remaining issue that needs to be resolved, namely the ill-fitting rhumb lines in combination with the well-fitting coastlines across the glued connection of the two hides which, until now, have defied explanation. If pursued, these troubling aspects may provide important clues to the history of the map, most notably perhaps concerning the intentions of those who made it and for whom it was intended. In conclusion, more research is needed. If I had a chance to do it, I would first of all contact the Vatican library to see whether it contains letters or other information that could throw any more light on this mystery. But there may well be other routes that could also profitably be explored. Achieving a greater understanding of this more than 500 years' old map could turn into an exciting research adventure. What is new in the 2nd edition?